Most men have collections. Maybe hand-carved pipes from around the world, a set of cameras passed down for generations, or a convergence of oddly similar objects that have personal meaning and substance. It’s the singular memories and stories associated with each piece, or simply the concord that a group of things brings to your own story. Often, these collections sit high up on our library bookshelves, or in a brown box in the attic. From time to time, we sit down, we open the box, and relive the reason why they’ve been kept as such, and will be kept indefinitely. When you find something that grabs your infrequent yet uncommon attention, it’s like that something is worthy of your investment. One consonant item is the wholly regarded Esquire magazine. 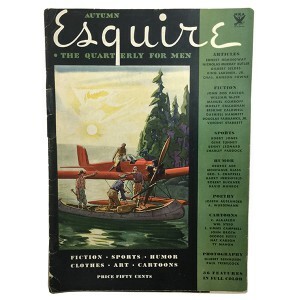 First hitting the newsstands in October of 1933, Esquire was the unlikely concoction of three co-founders with a shared experience in big business and editorial. 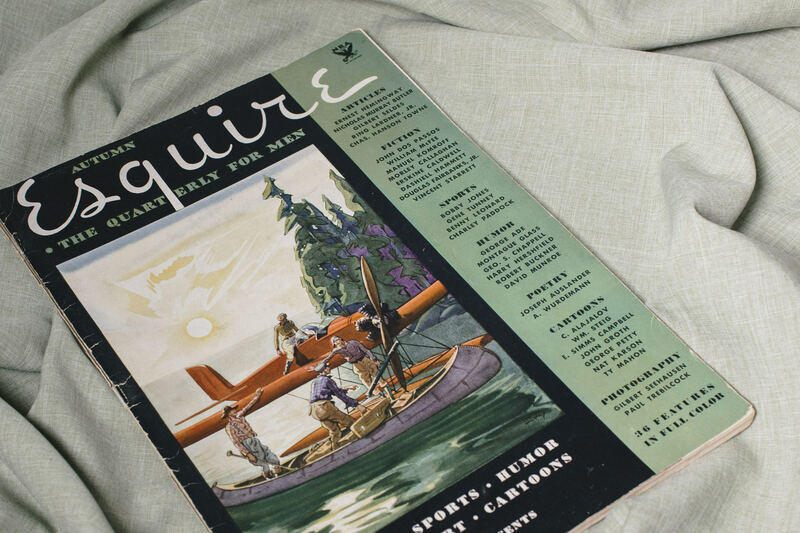 Esquire’s drive to develop a proper periodical centered around men’s fashion and lifestyle began to take its role as a cornerstone of the industry in the 1940’s. 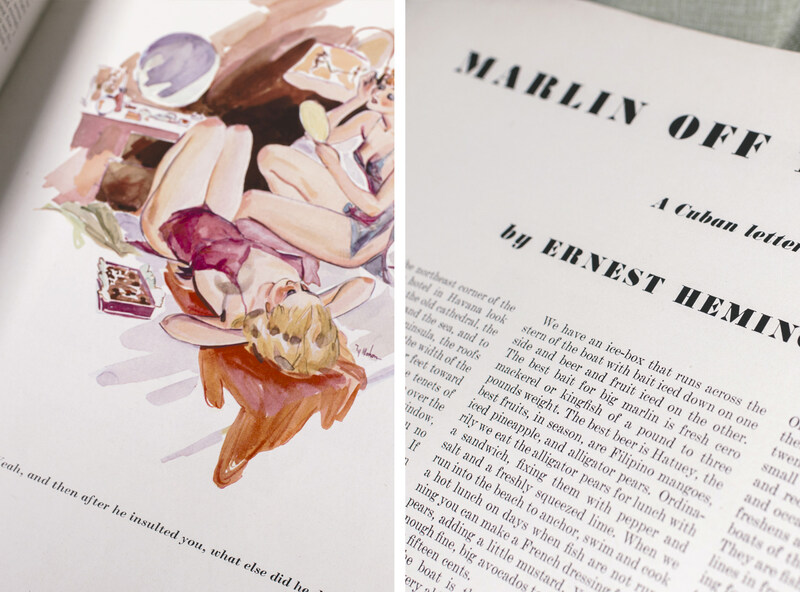 From day one, however, the pages of Esquire paired resplendent illustration with the writings of literary titans like Ernest Hemingway, F. Scott Fitzgerald, and John Steinbeck. 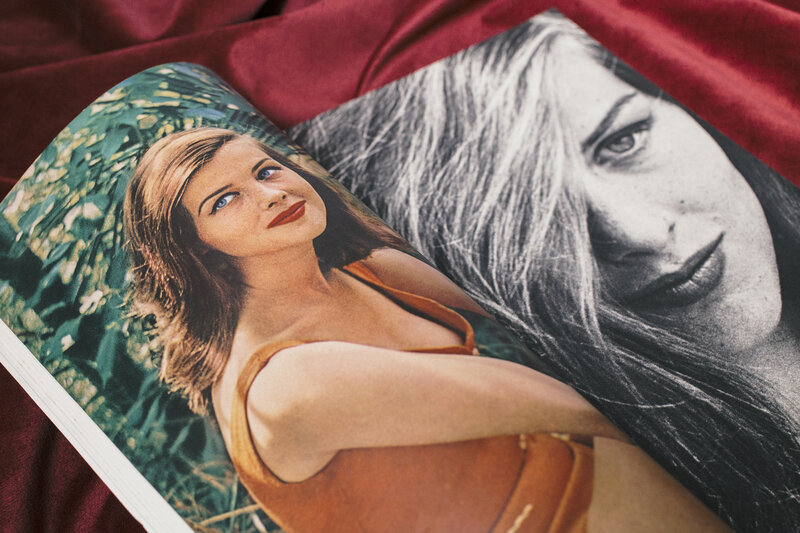 For now around $20 a piece, the combined context of the eras, the voluptuous imagery, and the short form first editions of the country’s finest authors makes vintage Esquire magazines a laudable collection piece for any man of refined curiosities. 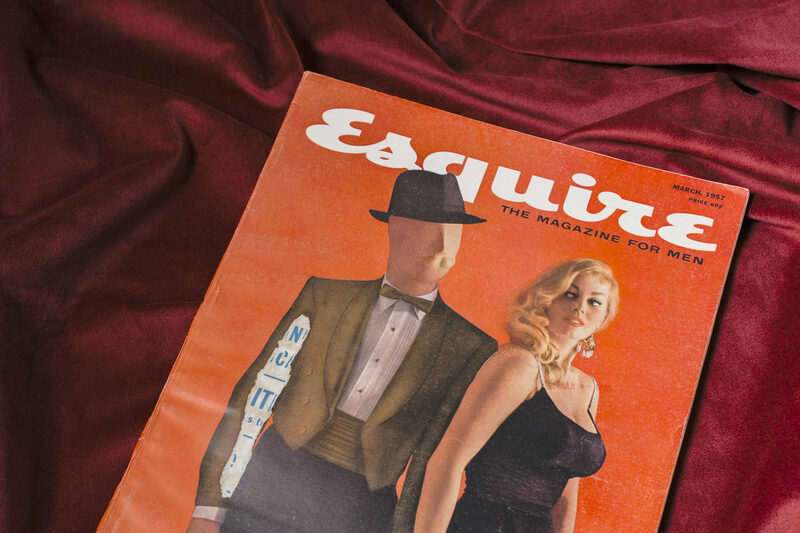 In its inaugural issue, Esquire left no stone of inspiration unturned. With works from Ernest Hemingway, Nicholas Murray Butler (president of Columbia University), Ring Lardner Jr (Academy Award winner), Bobby Jones (Co-Founder of the Masters Tournament and four time winner of the U.S. Open), and Gene Tunney (World Heavyweight Champion), there is not a single page unworthy of dozens of glances and arduous reading. 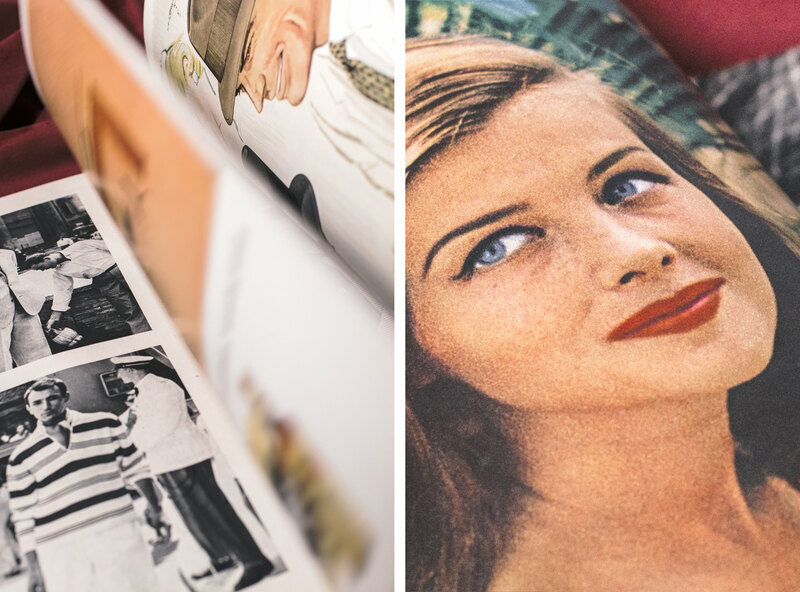 Page after page is constructed of short articles and full color illustrations worthy of a frame on your wall; and while your copy (like ours) will likely be frail on its binding, it would be a far worse offense to leave it untouched and un-experienced. 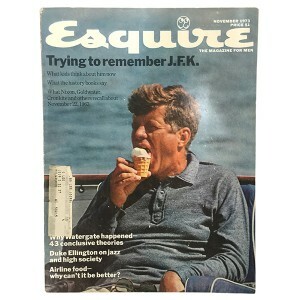 True to form, in the mid ’50s, Esquire continued to stand apart from the competition with their anchor in long form. In this issue, you’ll find works from Aldous Huxley (author of Brave New World), Paul Gallico (author of The Snow Goose), and a twenty page story from Irish novelist Anthony C. West. 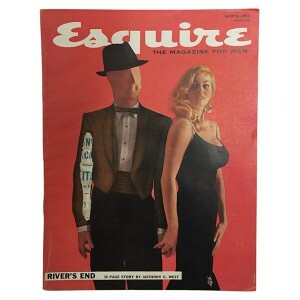 By this time, Esquire had widely integrated the use of photography alongside their illustrative staples. Over twenty years after the first issue released, and under the same direction from original Editor, Arnold Gingrich, the vibrant red cover of issue 280 touts a new and bold Esquire logo (the 4th of over 10 throughout the years). Cover to cover, you’ll assuredly be pulled right back into the ’50s from this strikingly rich and conjointly deep issue of this editorial cornerstone. In the early ‘70s, Esquire had adopted an visibly smaller format, but still packed a powerful punch. 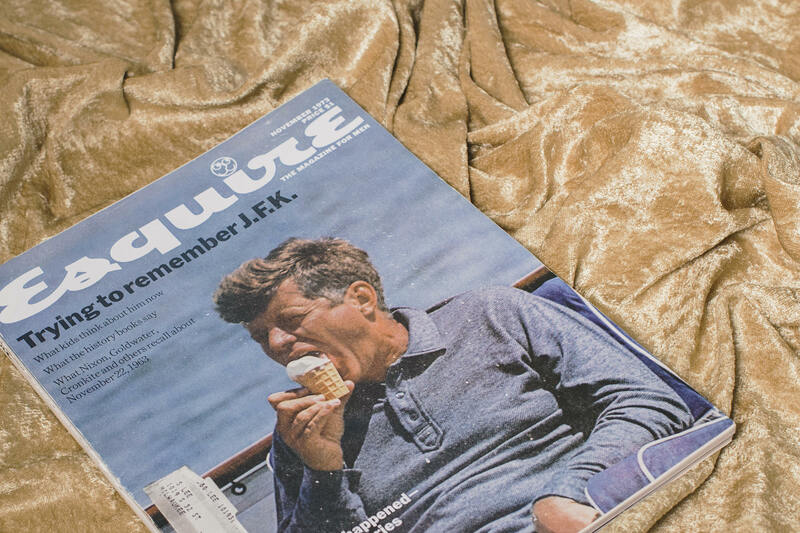 With articles from Duke Ellington, John Berendt (author of Pulitzer finalist, Midnight in the Garden of Good and Evil), and John Irving (author of The Cider House Rules) it’s easy to see that the commitment to inclusions from notable individuals remains at the heart of Esquire’s ideals. 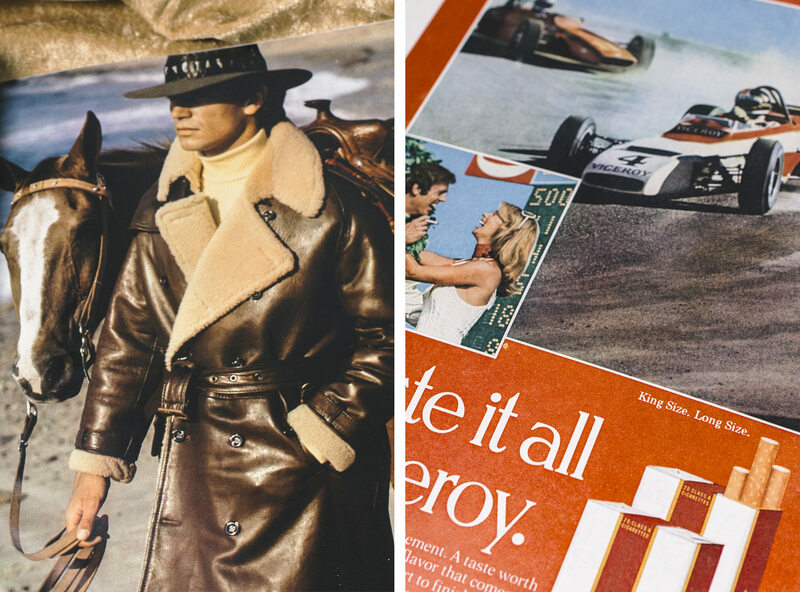 Now predominantly pictorial, and riddled with adverts of cars, cigarettes, and scotch, the ‘70s come to life without departing from the goal of Esquire: to become the common denominator of masculine interests – to be all things to all men. Esquire aims to become the common denominator of masculine interests – to be all things to all men. This is difficult to accomplish, all at a crack, and we would be foolish to expect to work out the formula down to the last little detail, in a first issue. […] The one test that has been applied to every feature that is in the first issue has been simply and solely: “Is it interesting to men?” How often were we wrong? Come on. Let’s have it – we’re leading with the chin.